Our guide was great - friendly, knowledgeable and had some great suggestions for the rest of our stay in Italy! 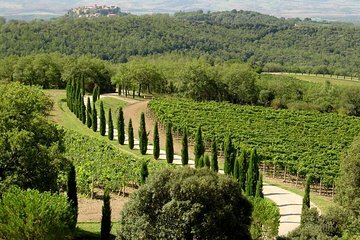 Our tour was in December at 2 p.m. and it was cold - so with the sun setting at 5 p.m. we didn't really feel that we saw the best of the area and we only made it to one winery and had a brief stop in Montalcino. I think this would have been better if it was offered mid-day so we could at least have seen the beautiful landscape despite the cold weather!